Rent Chaya Brasserie | Corporate Events | Wedding Locations, Event Spaces and Party Venues. 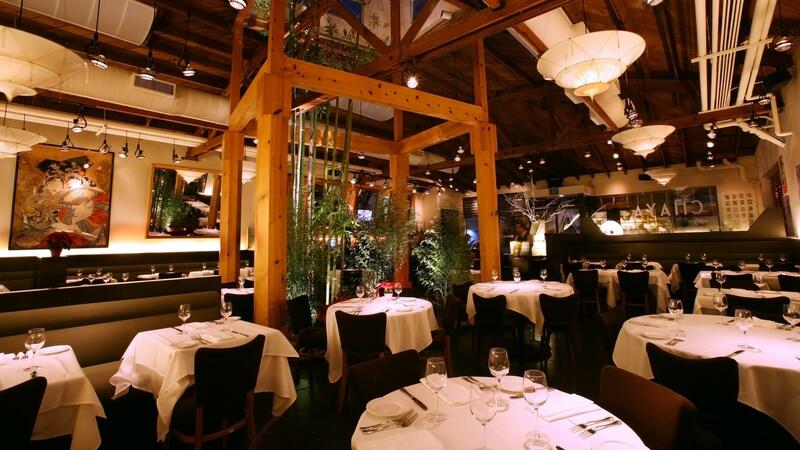 Chaya Brasserie San Francisco is located on the Embarcadero, just down the street from the historic Ferry Building. Chaya combines the traditions and flavors of the East and West in an informal yet elegant setting with views of the Bay Bridge. Looking to add a delicious twist and exotic flair to your next event? Let CHAYA host or cater your next event. Our 400 years of tradition, experience and expertise will ensure a perfect setting for any gathering— from an intimate party for 10 to an extraordinary gala for hundreds. Every CHAYA event is custom tailored for each individual client. We work directly with you to create the perfect event that fulfills your every desire. Space for up to 62 people for a sit down 3 or 4 course dinner. Can hold up to 90 people for a reception. Offers the possibilities of a dinner and a sushi and hors d’oeuvres reception. Space for up to 32 people to dine comfortably. Can hold up to 20 people with a sushi and hors d’oeuvres reception with a 3 or 4 course meal to follow. Small area in the front of our bar that can accommodate up to 32 people for an appetizer, sushi and cocktail reception. Available in from 4:00pm-6:00pm OR from 4:00pm-7:00pm. Great place if you are looking for a quick and easy happy hour or reception without a full sit down dinner.